He be on his suit and tie, and now he's coming to Netflix. Justin Timberlake's getting the concert special treatment with Justin Timberlake and The Tennessee Kids, a Netflix doc that chronicles the the last two days of Timberlake’s The 20/20 Experience World Tour in Las Vegas.This means that if you didn't get the chance to watch the artist live, now you'll have the chance to watch him in your very own home. (Or, wherever you watch Netflix, I don't know how you live your life.) To get you all prepped and excited, Netflix released the Justin Timberlake and The Tennessee Kids official teaser trailer immediately following the announcement of the special on Friday. The short teaser begins with Timberlake's voice: "Tonight," he can be heard saying, "when you're up there. Look to your right. Look to your left. That's who the show is for." And then we get a behind the scenes look at his band, backup singers, and dancers — that's right, The Tennessee Kids — just before they're about to go up on stage. Then, other than Timberlake declaring his love for the group, and a few shots of the stage, the crowd, and his suited-up self, that's about all we see. It's enough though, because if you've been following Timberlake's music career (you have two ears and a soul, right? ), you know this'll be worth watching. 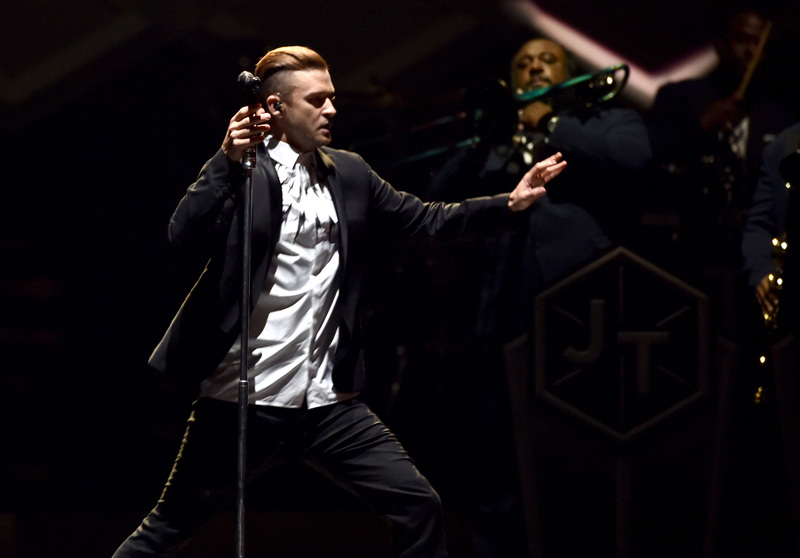 Even if you don't love his music, Timberlake's always proved to be one hell of a performer. The 20/20 Experience World Tour kicked off in 2013, but didn't conclude until January of 2015. It was Timberlake's fifth concert tour, and according to Billboard, and grossed $231.7 million in ticket sales — making Timberlake the highest paid solo touring artist of 2014. I guess killin' the concert tour game will allow you the opportunity to get your own concert film at some point. Better yet, your own concert film directed by Jonathan Demme, the Oscar-winning director with an impressive resume that includes Silence of the Lambs and the more relevant Talking Heads doc, Stop Making Sense. Oh, and not one, but two Neil Lang documentaries. If there was ever a man equipped enough to handle the job of Timberlake's concert film, it's Jonathan Demme. Justin Timberlake and The Tennessee Kids will premiere at the 2016 Toronto International Film Festival and will hit Netflix on October 12. Get ready to Rock Your Body.... OK, I'll see myself out.